We are governed by a Board of Trustees who are accountable for the strategic and operational performance of Healthwatch Central West London. Our board members represent each of the three boroughs we serve and our local committees. Our board meeting minutes are available for everyone to view. Download them at our Board Minutes page. Christine is the chair of Healthwatch Central West London, a dignity champion, and a trustee of Age UK Kensington & Chelsea. 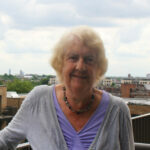 Christine was a Healthwatch England Committee member, is a former chair of Age UK Kensington & Chelsea, and was also part of the Kensington & Chelsea Local Involvement Network (LINk). With a background in social work and social work teaching at both South Bank University and the Open University, Christine has also worked in community centre development within the voluntary sector. Joanna was the representative for Hestia Housing and Support, our former parent organisation. After we became independent in March 2018, Joanna was co-opted to our board. 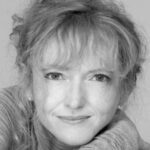 Joanna is a hugely experienced director of Human Resources, and is our HR lead, as well as our vice-chair. Layo is an experienced finance professional across the accounting spectrum including management/financial accounts, corporate treasury management, risk management, project finance, appraisal and management, international tax planning (incl. capital restructuring). 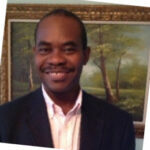 Layo is currently a director of a green energy systems developer company. 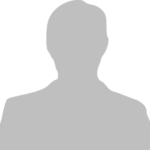 Brian is a qualified accountant and has over 40 years’ experience of working in public and voluntary sector finance. In September 2013 and after 14 years, he retired as Chair of a community housing association. He brings extensive experience of strategic finance, business planning, risk management and governance to our Board. Keith was appointed to the Board in July 2015. He has a background in teaching and served as a local councillor for eight years. Keith works for Mind as a Primary Care Mental Health Advisor and sits on the Hammersmith & Fulham Health and Wellbeing Board. Tania joined the Board of Healthwatch Central West London in 2017 and has been a member of the Royal Borough of Kensington and Chelsea Healthwatch since 2014. Tania has extensive experience in corporate finance. 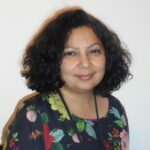 For Healthwatch, Tania participates in the Imperial College Healthcare NHS Trust Quality Accounts, is involved in Patient Led Assessments of the Care Environment (PLACE Reviews) and is a Dignity Champion. Tania has a particular interest in digital healthcare. Abdul joined the Board in 2015. Fatai Towolawi, popularly known as Abdul, joined the third sector in 1992 as a Project Worker in a small West London charity. He has since gone on to manage the largest neighbourhood partnership in Camden, and currently works as an independent Fundraising Consultant, supporting small and large charities across London. Abdul is a current member of the Kensington & Chelsea local committee, and has previously served on the boards of various large and medium sized charities. 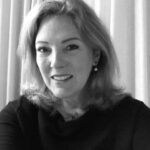 Helen worked in senior roles in HR in the NHS for over 20 years with particular expertise in organisation and employee development, diversity and inclusion, governance, and the impact of culture change on patient care. She was a member of her local GP Patient Participation Group before joining our Board in 2017. She lives with her family in Westminster. 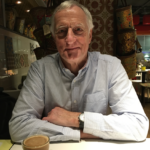 In 2008 Chris established a home care service, Healthvision UK, which now operates across the boroughs of Westminster, Hammersmith & Fulham and the Royal Borough of Kensington & Chelsea. His operation in the local care market provides him with invaluable insight into delivering care services and promoting best practice initiatives. 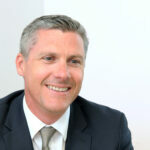 Healthwatch benefits from his mix of care sector experience and commercial acumen. 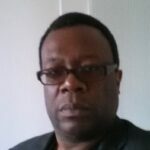 Chris Joined Healthwatch Central West London in January 2018.